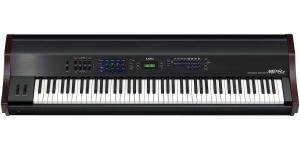 MP7 is an excellent digital piano, which has a lot of features, but at the same time, has a reasonable price. 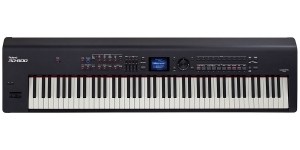 Thanks to intuitive settings, the instrument is suitable not only for professionals, but also for beginners. MP7 is equipped with the same features inherent in MP11: tone generator, DSP, D/A-converters and 32 tones, but it has a more compact housing. The polyphony of the instrument was increased up to 256 voices, including 40 sound programs. Based on the Harmonic Imaging XL technology, MP7 is able to reproduce high-quality recorded samples. The built-in recorder allows you to record up to 10 tracks. 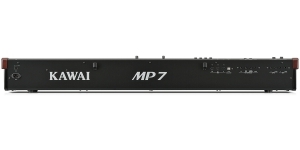 MP7 has 6 types of reverb: Room, Lounge, Small Hall, Concert Hall, Live Hall, Cathedral. There are 23 types of effects for each zone. The 4-band equalizer of the instrument made it possible to carry out a qualitative adjustment of the frequency. There are 5 types of AMP (S. Case, M. Stack, J. Combo, F. Bass, L. Cabi), including Drive, Level, Amp EQ Lo, Amp EQ Mid, Amp EQ Hi, Mid Frequency, Mic Type , Mic Position, Ambience. 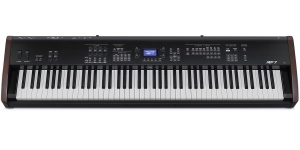 The keyboard of the instrument has 88 weighted keys, which have innovative second generation technology Responsive Hammer 2 with the Let-off mechanism, which allowed the instrument to provide an incredibly realistic performance. Keys of the instrument feature a unique Ivory Touch coating, preventing finger slip while performing. The kit includes a F-10H pedal and a power cord. 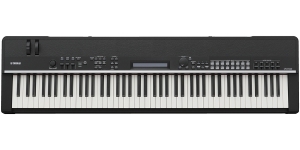 Digital piano MP7 embraced the best characteristics of its predecessors, while having small and convenient dimensions. 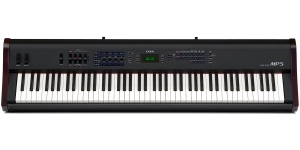 The instrument is capable of reproducing excellent acoustic and electronic sounds, while being more affordable. 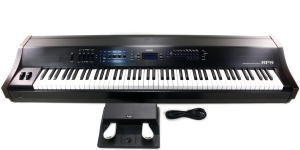 Synthesizer Keyboard, Performance Synthesizer, Digital (D), Voices: 320, Multi Timbral Capacity: 3 part(s), Oscillators overall: 320, Velocity Sensitivity, Number of Keys: 88, Production start: 2018. 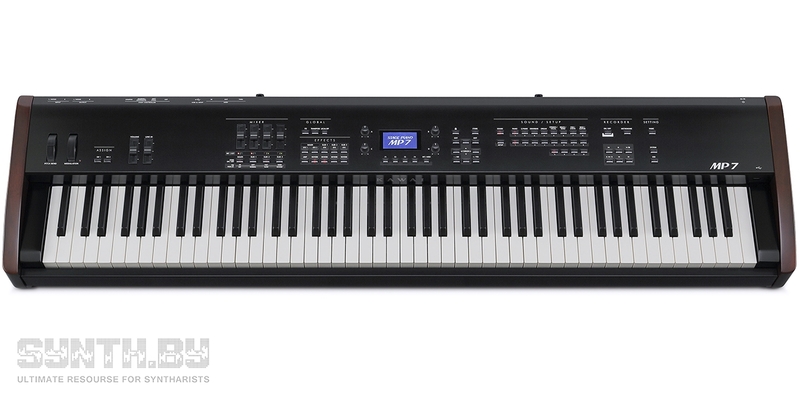 Digital (D), Voices: 128, Size: 7.5, Velocity Sensitivity, Aftertouch, Number of Keys: 88, Production start: 2014. 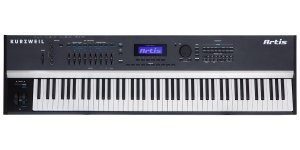 Synthesizer Keyboard, Digital (D), Voices: 128, Multi Timbral Capacity: 16 part(s), Aftertouch, Velocity Sensitivity, Size: 7.5, Number of Keys: 88. 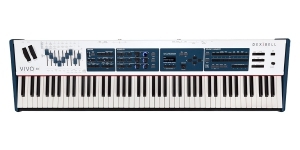 Generalmusic, an Italian company which used to be quite popular, has found the investor from Finland and now is trying to break through the fortification of the today’s market with its new digital stage piano Promega 2+ which will be produced as a Generalmusic instrument. The fact that it’s going to have “GEM” on it will surely attract many musicians. The keyboard features a classic interface, uses sample playback and physical modeling techniques to generate waveforms though offers a bit limited sound library for a contemporary stage piano. Anyway, it sounds really great leaving no doubt about the quality and the panels look fine – as compelling as its voices. We’re convinced it’s right what you need to take on stage but it comes with the price which might seem too heavy to do it. 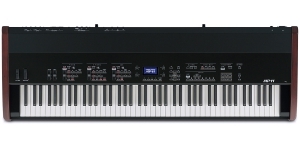 The fact that Roland, Kurzweil, Yamaha and Kawai can’t afford ignoring the mid-range segment (they smart enough to know that it would be foolish of them) and even more – they treat it with care and attention – is proven by the attractive quality of their stage pianos: RD-800, Artis, CP4 and probably the most stunning among them MP7 tempting with its impressive functionality. A professional pianist would agree to perform having any of them (at least once, but would anyway). 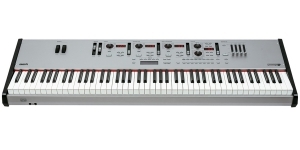 These compact digital instruments include a big choice of key sounds and can be easily taken in tour. Here we’ll review a few most catching models and the full list is always ready at hand – just click our catalogue.